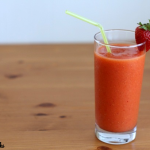 I just couldn’t peace out for the week without one more game day recipe! 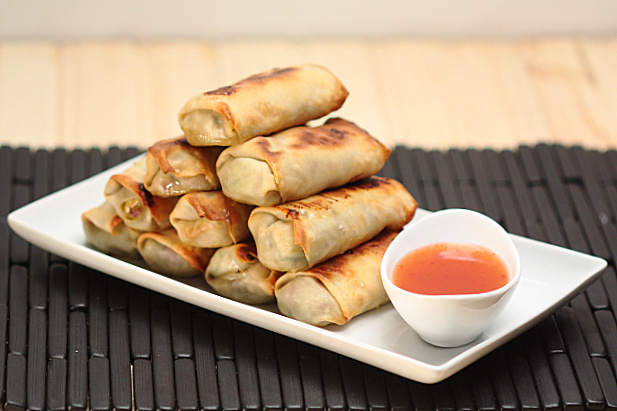 I’m a big fan of egg rolls and interesting ingredients in egg rolls. 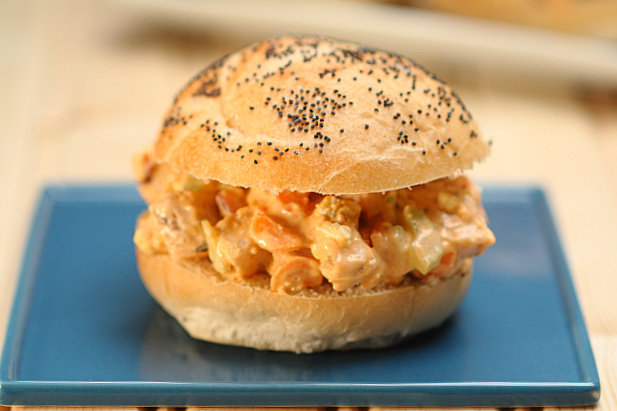 These are filled with a sweet and spicy mango avocado slaw. 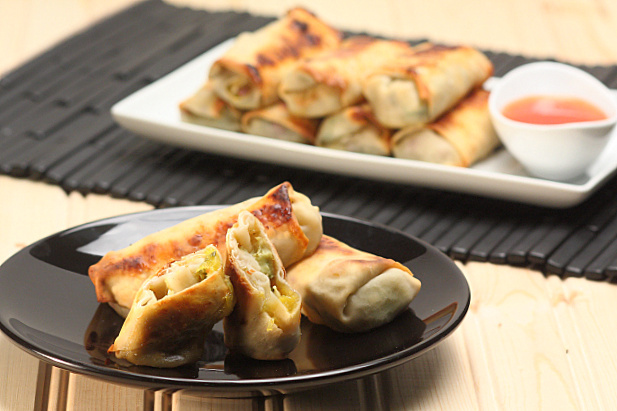 They are delightfully creamy and very tasty when dipped in sweet chili sauce. Also, because they are baked and not fried, you don’t have to stress about having a few extra. 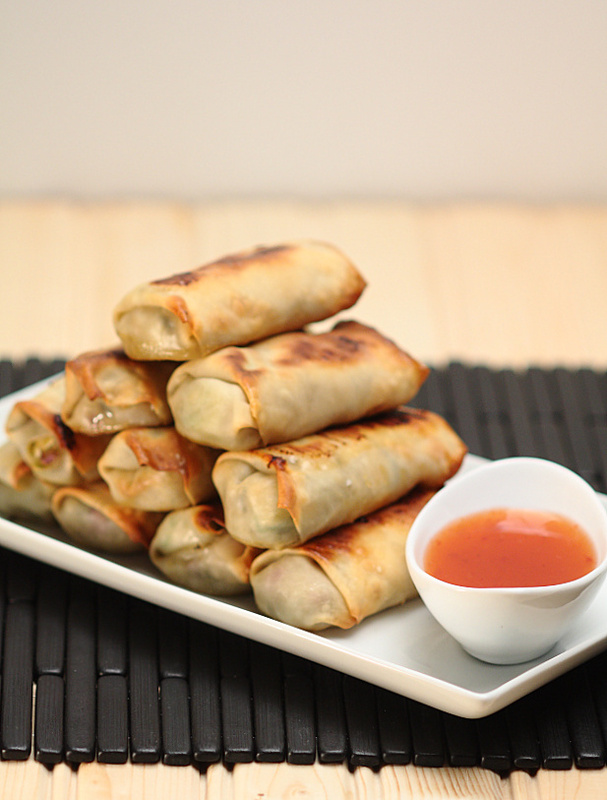 These egg rolls and my other game day recipes are simple and quick to put together. 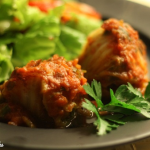 Even if you waited until the last minute, you have these recipes prepared, your guests happy and not miss one game play or commercial (cuz if you’re me, you’re really only interested in the commercials anyhow). Are you having a cheese platter at your game day festivities? Check out this sweet cheese and beer pairing guide from Red Envelope HERE. *For an instructional video on how to cut a mango click HERE. 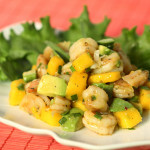 In a large bowl, combine the mango, cole slaw mix, scallions and avocado. In a small bowl, whisk together the vinegar, salt, pepper, chili powder and honey. Pour this over the cole slaw mixture and lightly toss to coat with hands. Work on one roll at a time, covering the others with a damp paper towel to prevent from drying out. Place ¼ cup of the cole slaw mixture in the bottom third of an egg roll wrapper. Roll up by folding the short corner over then the sides. Dampen the open edges of the wrapper with the egg and continue to roll up tightly. 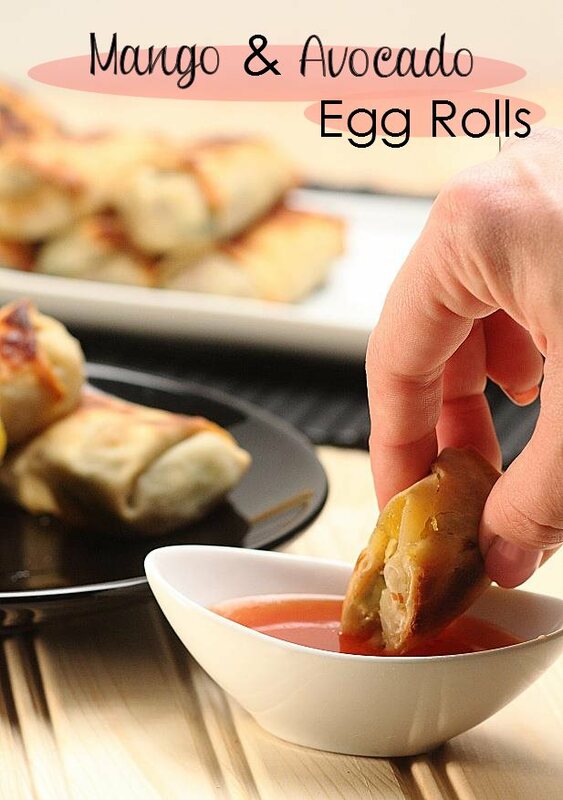 Spritz each egg roll with an oil spritzer or cooking spray and place fold side down on a baking sheet lined with parchment paper. Bake 15-20 minutes or until lightly browned and crispy, turning over halfway through cooking. Serve with the sweet chili sauce on the side for dipping. 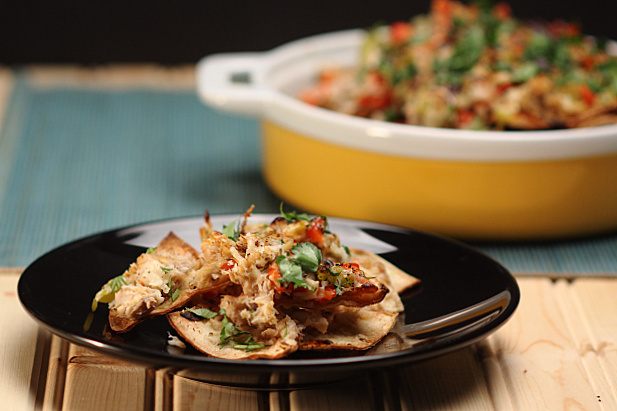 I have just the right ingredients at home to make this tonight – will be perfect for the rainy day! Yes, very soothing. Hope you enjoy! 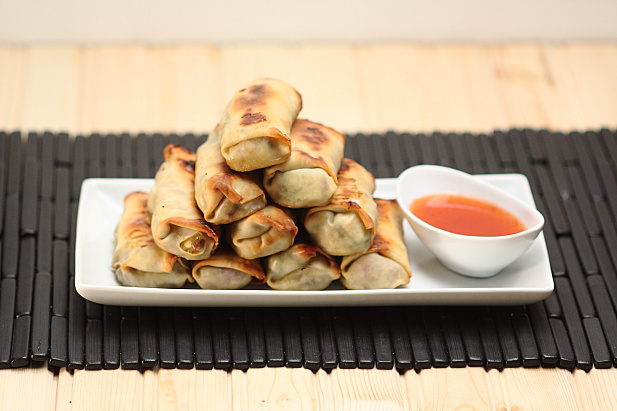 Egg rolls are one of those things that I’ve never tried to make on my own. You make it look easy! 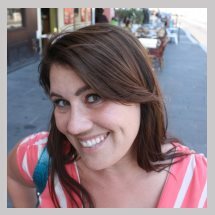 It was so fun to see you at TECHmunch – you look amazing and congrats again! Thank you, Lisa. You are so sweet. It was wonderful seeing you too. 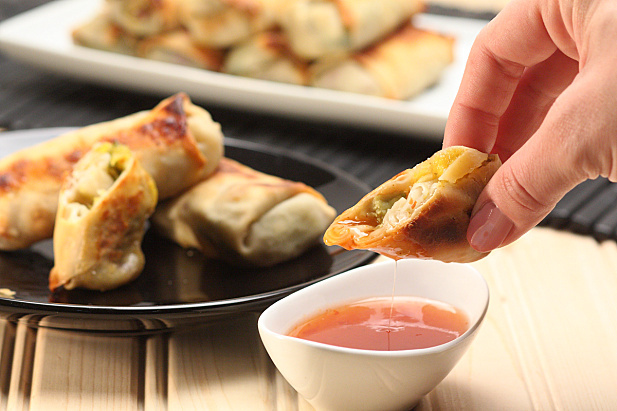 Egg rolls are super easy and you can put just about anything you want in them. Give them a try sometime! These sound yummy!!! Gonna have to give them a try! 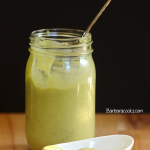 Love avocado! Brandon, my husband DID! And he asked for more.